Thursday, November 9, 2017 at 5 pm. The Board must approve the polling locations of the general election for HISD Board of Education for District I, V, VI, VII, and IX, and a special election for the unexpired term in single-member District III. 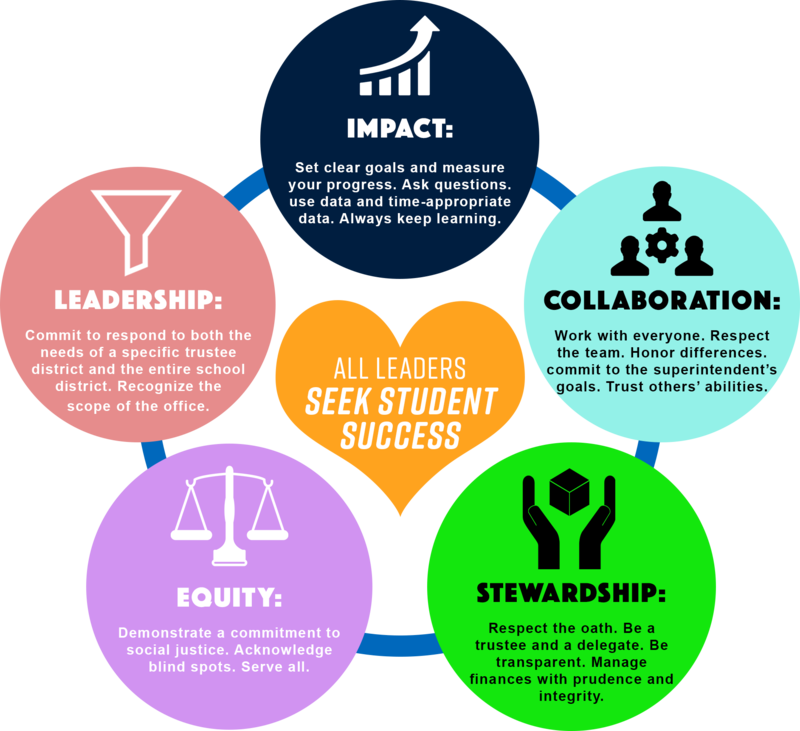 In August 2017, the Board approved changes to its vision and beliefs and its mission statement. In accordance with these documents, the Board must adopt the Resolution of The Board of Trustees of The Houston Independent School District on Guiding Principles Regarding Inclusive Education Practices. The Board must approve the school-based individuals who have met the local appraiser recertification and certification requirements to appraise teachers for the 2017-2018 school year. These teacher appraisers must meet specific training and certification requirements. School districts in Texas are required to conduct a class-size enrollment survey for grades kindergarten through four, and if any section in those grades exceeds the class-size limit of 22 students per teacher, HISD must submit a class-size waiver request to TEA. In recent years, the administration reduced the number of classrooms requiring a class-size waiver, but in the aftermath of Hurricane Harvey, an increase in the number of classrooms requesting class-size waivers was anticipated. The Board must approve the HISD 2018 – 2019 academic calendar. The Board must approve the campus executive summaries of School Improvement Plans (SIP) for the 2017 – 2018 school year. These executive summaries include condensed information about the school; the targeted areas of need; and the goals, objectives, and major strategies for improvement. In August 2009, the Board approved $13.5 million to be allocated to additional facility projects in each of the nine trustee districts, for a total of $121.5 million. Trustee Sung is requesting that a budget allocation of $4,466 be provided for technology needs at Mandarin Immersion Magnet School, and these funds will come from the allocation allotted for District VII. There is a need for a groundwater mitigation project to prevent or significantly reduce water infiltration into the building interior of Heights HS. The Board must authorize the superintendent to negotiate, execute, and amend a construction contract with Chamberlin Houston, LLC. for Heights HS. On September 5, 2017, Oak Forest ES reported a fire in the electrical room. Soot and smoke odor affected the entire building, and Blackmon Mooring completed the cleanup. The Board must ratify the use of the Self-Insurance Recovery Fund to fund the cleanup. SPARK is a Texas nonprofit corporation to develop public school grounds into neighborhood parks. Lockhart ES is the recipient of a new SPARK park. It is recommended that MoBill Contractors be awarded a construction contract for the new SPARK park at Lockhart ES. The Board must authorize the superintendent to negotiate, execute, and amend a construction contract with MoBill Contractors. HISD currently uses CompleteView Software, a closed-circuit television video-monitoring system used for safety and security throughout HISD. This system occasionally requires upgrades, and the upgrade agreement occurs between Salient and HISD. The Board must authorize the superintendent to negotiate, execute, and amend an agreement with Salient Systems Corporation for the district’s closed-circuit television system from November 9, 2017 to November 9, 2022. SIMS Software is used by HISD to service, maintain, monitor, and respond to all alarms (burglaries or trouble signals) districtwide. The current contract expires on November 10, 2017, and can be extended until November 10, 2021. The Board must authorize the superintendent to negotiate, execute, and amend an agreement with SIMS Software for districtwide security alarm monitoring and maintenance. The Board must approve the utilization of the Texas A&M Engineering Extension Service (TEEX) and the Texas A&M AgriLife Extension Service. These services will provide certification exams that are industry-recognized and are used for TEA Student Accountability. HISD offers multiple medical options and voluntary benefit programs to its employees who work half-time or more in accordance with Teacher Retirement Systems eligibility. HISD issued an RFP for benefits administration services, and recommends that ADP be selected for a five-year term starting April 1, 2018. The Board must authorize the superintendent to negotiate and execute a contract with ADP. The Board must approve the proposed establishment of Board Policy FCC(LOCAL), Student Welfare: Student Support Services. The Board must waive Board Policy BF(LOCAL), Board Policies and approve the proposed revisions to Board Policy AE(LOCAL), Educational Philosophy.